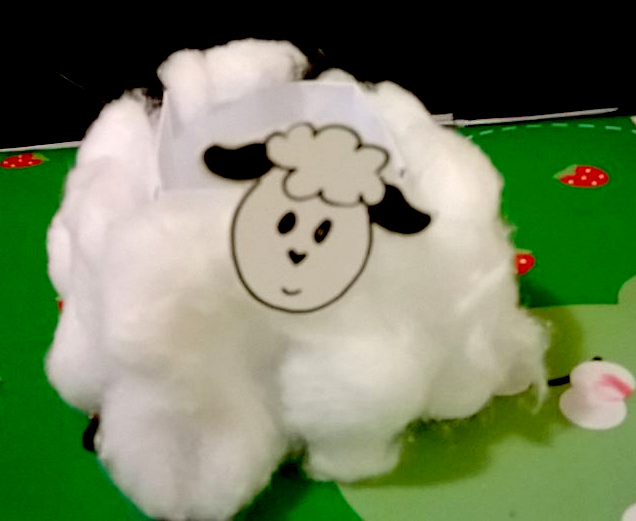 Asst 2 : Dewi K.
Hide pictures of sheep around the room and get the kids to look for them. 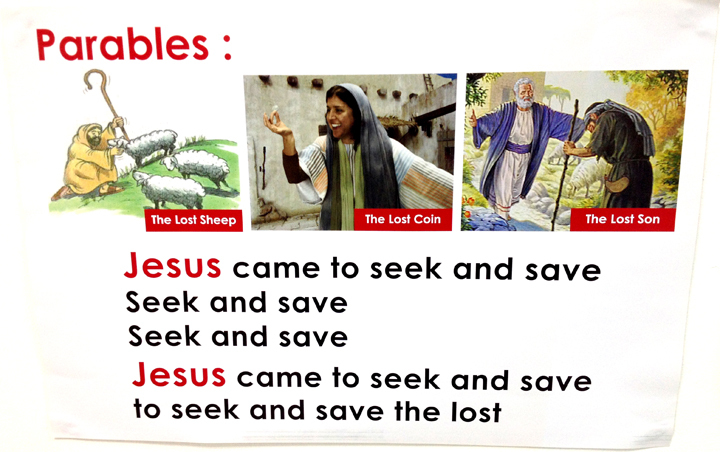 Alternative: Feed clues to the shepherd about who the missing sheep is (e.g. colour of shirt, gender, hair style etc), and the shepherd has to go and “retrieve” the sheep. In this game your whole class is involved in putting a puzzle together when they find that there is one piece of the puzzle missing. After your class has realized that a piece is missing, their new objective is to find the piece that is missing before any other team finds their piece. The team to find their piece first is the winning team. (You can use any normal jigsaw puzzle or cut up a picture of a shepherd and his sheep). Tell story based on Luke 15:1-7. When Jesus was on earth, many people liked to be His friends. However, many of them were not “respectable” people in the community. They were the outcasts — the tax collectors and the sinners. Pharisees didn’t like that Jesus was getting so popular. And they thought that He couldn’t be a holy man because He hung out with the “bad” crowd. After all, they were the holy ones — they kept all the laws and did all the right things. Jesus loved to spend time with the “sinners” because they knew that they needed to be saved. They didn’t pretend to be holy like the Pharisees. And they knew that Jesus loved them despite all that they have done. When they repented, they were saying that they don’t want to try to save themselves anymore, but that they want to trust Jesus to save us. Unlike the Pharisees who think they were too good already that they didn’t need a Saviour. They were like the lost sheep. And Jesus loved to spend time with them. He was like the man who would go and search high and low and climb up and down just so that He can rescue them. And each time He finds one, there is great rejoicing in heaven. The Bible uses the picture of “sheep” to describe all of us — sheep cannot survive on their own without the care and protection of their shepherd. Do you know that we were all like that lost sheep too? We went our way. We got trapped. We couldn’t save ourselves. But our wonderful Shepherd, Jesus, didn’t just let us be. He didn’t say that He would just take care of the good sheep, the ones who didn’t wander, who didn’t get lost or who didn’t get trapped.He left all He had just so that He could come look for us. He died a horrible death on the cross just so that He could save us from sin and give us new life. Jesus rescued us, cleaned our wounds and laid us on His shoulders and brought us home with great rejoicing. He’s sooooo happy when we decide to trust in Him and receive His love. And even if there were only one of us who were lost, He still would have come to die for us. That’s how great His love is for you and me! (Hold right hand above eyes as if you are shielding your eyes from the sun)Where did you go? (Touch right pointer finger to left palm and then left pointer finger to right palm)I’m sure you know.